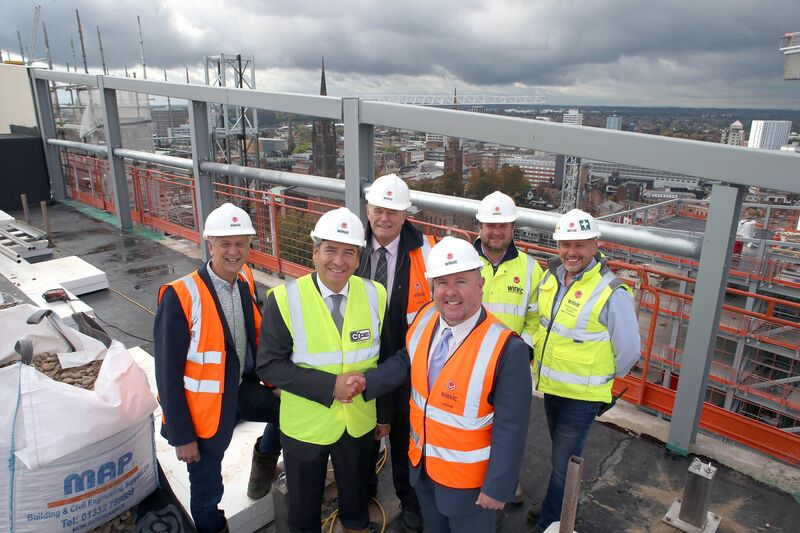 CODE Celebrating “Topping Out” on Coventry’s Tallest Building! CODE’s new landmark 23-storey student accommodation complex has claimed the accolade for Coventry’s tallest building. Towering over the city centre, just 2 mins from Coventry University with great views over Coventry Cathedral and beyond, CODE Students will deliver 1,192 self-contained studios. All will feature a fully-equipped kitchen, deluxe shower room, a double bed with 200mb broadband and a secure CCTV and fob entrance system.